Several years ago, many experts were indicating that by 2020 everything would be running in the cloud. The promises of economical on-demand computing and storage resources were appealing. Companies could look to reduce capital investments and begin to sunset expensive data centers by quickly spinning up cloud technology. Speed to market, costs savings, optimized processing environments, elasticity, agility — the hype was real. Organizations began to adopt Cloud First strategies. Cloud articles were dominating the headlines and cloud vendors were investing big time and pushing for traction and momentum. Fast forward to 2019. 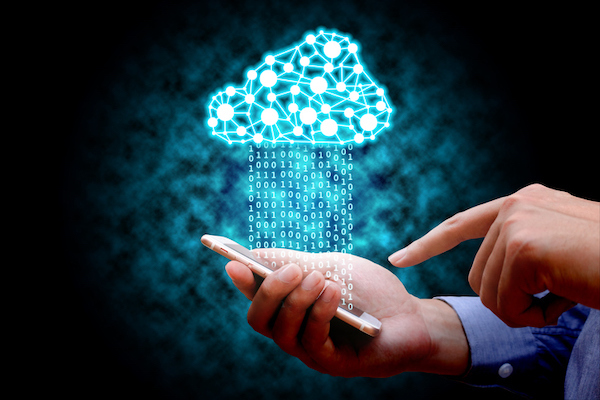 While there have been cloud success stories and the marketplace is full of cloud services and solutions, the full promise of the cloud has not yet been fully realized – particularly in healthcare. Yet there are adoption opportunities you can begin to leverage immediately. Most healthcare organizations have private cloud capabilities. These typically run in their own data centers and support mission critical applications. More and more of these private cloud environments are run on hyperconverged technologies that offer some unique opportunities to streamline operations and tightly integrate compute, storage and backup in one platform. A hybrid cloud environment is one that basically integrates a public cloud with a private cloud to enhance collaboration capabilities. While other industries have leveraged hybrid cloud computing capabilities, it’s relatively early days for the healthcare market. Although momentum seems to be growing, implementing and maintaining the right level of security has traditionally been a challenge in this space. Emerging trends in healthcare like the Internet of Things, machine learning, artificial intelligence and analytics will continue to drive the need for hybrid cloud technology. Many healthcare organizations are also leveraging Software as a Service (SaaS) for key applications. This type of delivery can be considered a cloud solution. In fact, many software providers are not only offering SaaS type solutions but they are also pushing their customers to migrate in this direction. At Penn Medicine, we have begun to leverage many SaaS solutions that have been more economical to implement and maintain as a result of bundled offerings, optimized performance and access to specific skill sets. Our cloud journey started with SaaS. We had always run a traditional on premises messaging system and, in fact, it had become mission-critical as both business and clinical leaders relied upon the email and calendaring capability. Public cloud allowed us to dip our foot in the arena, significantly reduce costs and open the door to several new collaboration capabilities. To date, this initiative has been very successful as we have migrated over 40,000 users. So what does that leave for other cloud opportunities in healthcare? Is the application performance sensitive? Is it a highly secure application? Does the application have consistent and predictable processing requirements? If the answer to any of these is yes, we start to consider more traditional hosting alternatives like on premises data centers or SaaS. If the answers are no, we look to host them in a cloud tenant that we have established. Getting a Business Associate Agreement in place was step one and it allowed us to mature into developing our own cloud tenant for hosting other applications. At first glance, most other mission critical systems like our EHR, radiology and lab systems were not good candidates, particularly when compared to the filters above. They are all performance sensitive systems, hosting confidential data, which are fairly predictable in terms of processing requirements. However, there were other candidates that we are now pursuing. If you decide to head down this cloud path, there are a few things to consider. We developed a cloud strategy early on to guide our work in this area. Beyond strategizing and pursuing the contracting piece with your cloud provider, here are some other things to think about. It’s going to be important to ensure that you have strong governance and role clarity in place early on. From there, it’s important to understand the network requirements and allow enough time for proper provisioning of the express routes. Next, spend some time looking at the information security tools that you will want in place, both on premise and in the cloud. Then look at leveraging automation capabilities. Standardization and services portals and catalogs can go a long way here. Lastly, you will want to look closely at the operational requirements associated with the cloud. Once you have the tenant up and running, you can begin to shift existing processing load or look at the cloud as an option for new computing opportunities. We have been seriously exploring our own tenant for things like our data lake, genomics, research computing, analytics, artificial intelligence and innovation initiatives. Early indications are that this is going to be a very powerful hosting alternative that will allow us to continue to shut down existing data center footprints and minimize future capital investments. In summary, I think cloud-first is too aggressive for healthcare given some of the points I have outlined above. Most healthcare organizations, however, should be able to start to leverage selective cloud opportunities where you will see a good bang for your buck.